There has been a good measure of animosity mixed into the complicated relationship between the United States and Cuba over the past half-century. Moody, an American Counseling Association member, travels to Cuba roughly once per year to teach, give talks on counseling topics and meet with mental health practitioners. Over the years, he has forged connections with the psychology department at the University of Havana and with Alexis Lorenzo Ruiz, president of the Cuban Society of Psychology. Moody was one of a handful of Americans at the society’s most recent conference in 2013, where he gave a talk on the fifth edition of the Diagnostic and Statistical Manual of Mental Disorders (DSM-5). What started for Moody as an intended single trip to teach basic counseling classes at a Cuban seminary has blossomed into a decade of return trips and friendships. Through the years, Moody has learned to navigate the complicated process of gaining permission to travel to the island that sits 90 miles south of Florida. He has had to seek travel licenses from both the Cuban and U.S. governments, he says. It’s a process that will hopefully get easier as relations between the two countries warm, Moody says. Not surprisingly, in some ways mental health care in Cuba is very different from mental health care in the United States, says Moody. For starters, the terms “counselor” and “counseling” aren’t used or known in Cuba. All mental health counseling is known as psychology, says Moody. Moody with Alexis Lorenzo Ruiz, president of the Cuban Society of Psychology. work are more closely aligned with American counseling than with psychology. Most Cuban psychology practitioners hold master’s-level degrees, just like American counselor practitioners, Moody says. Students who attend university for psychology in Cuba get both a bachelor’s and master’s degree together in the span of roughly five years. After graduating, they complete a one- or two-year practicum internship to determine their specialty. Moody uses the term “rigorous” to describe the psychology degree programs in Cuba. “Once they [psychology students] graduate, they are equipped to work in any specialty,” he says. There are also a few things that the United States could stand to emulate from the way that mental health care is embraced and practiced in Cuba, Moody says. For example, psychologists and therapy are part of mainstream culture in Cuba — much more so than is the case in the United States, says Moody. All psychologists are employed through Cuba’s national health system; there are no individual therapy offices or private practices. Every hospital and clinic has psychologists on staff. Often, Cuban patients are seen by both a psychologist and a medical doctor in the same visit, Moody says. For example, a patient might come in with a physical ailment, such as stomach pain. If the doctor thinks the pain might be connected to a mental health issue, such as stress or depression, he or she may have the person meet with an on-staff psychologist during the appointment. This holistic approach to care is a good thing, says Moody, and something from which the United States could learn. Cuba’s national health system also ensures that every school and large business has an on-staff psychologist for students and employees. Because these practitioners are so visible, available and part of everyday life in Cuba, meeting with a psychologist there carries much less stigma than does seeing a similar mental health practitioner in the United States, Moody explains. 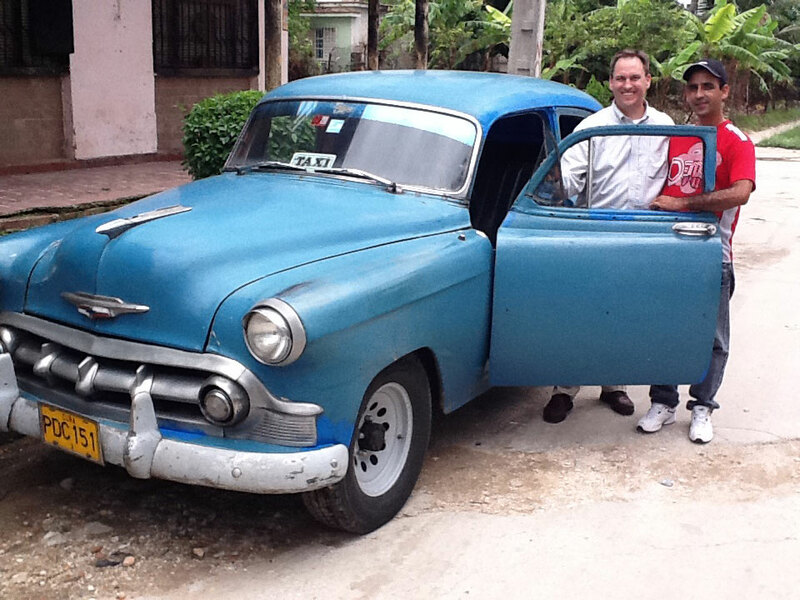 Psychologists are valued — even looked up to — in Cuba, he says. The profession is truly accessible and integrated into the community, he adds. The profession has been made even more mainstream thanks to a very popular TV show that features Manuel Calviño Valdés-Fauley, president of the Latin American Union of Organizations of Psychology (ULAPSI). Cubans tune in weekly to hear Valdés-Fauley answer questions and talk about psychology’s application to everyday life, such as dealing with anger or workplace stress, Moody says. 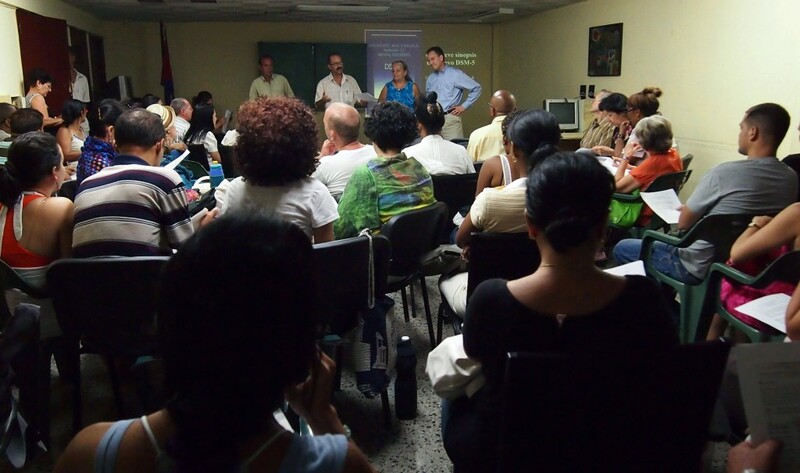 Moody (top right) participates in a presentation on the DSM-5 for faculty and students in the School of Psychology at the University of Havana in May 2013. Through his travels to Cuba, Moody says he has gained an entirely new perspective and appreciation for his chosen profession of counseling. Although he travels to Cuba to give talks and teach, he acknowledges that he has learned a significant amount from the Cubans in the process. 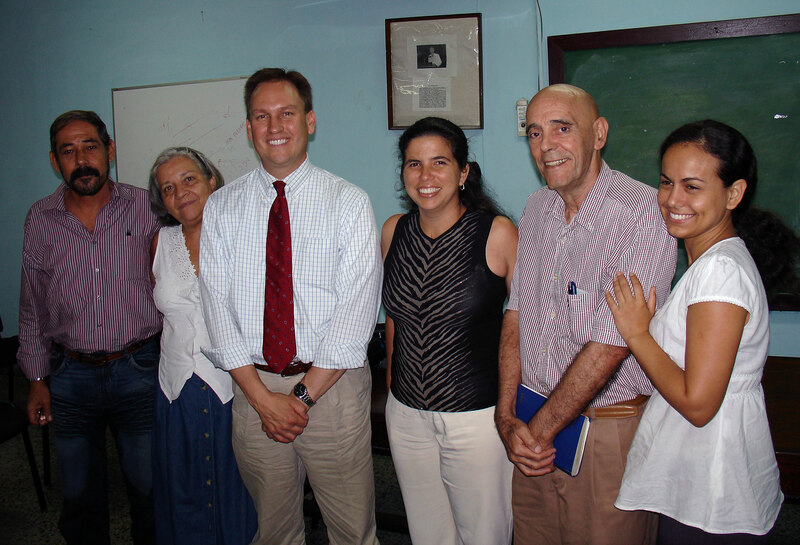 Moody (third from left), with faculty from the University of Havana School of Psychology (left to right): M.Sc. Reynaldo Rojas, the vice-dean of foreign relations and research; Professor Marta Martínez, an industrial organizational psychologist (who often serves as a translator for Moody); Dean M.Sc. Karelin López Sanchez, Dr. Eduardo Cairo, professor of neuropsychology and clinical psychology; M.Sc. Greter Saura, a vice-dean of distance education and professor of developmental psychology. Most of all, he has learned from their example of taking hardship in stride and “doing a lot with a little,” he says. For example, Moody brought one copy of an English-language version of the DSM-5 to the University of Havana during his most recent visit. The entire psychology department will share it – and devour it, he says. With each visit, Moody says he can plainly see that the Cubans with whom he works are making use of the knowledge he shares and find it important. That, along with the warmth of the Cuban people, keeps him coming back, he says. It has also made him more appreciative of the resources he has as a counselor educator in the United States, including “the little things,” such as conversations with colleagues. Moody has also worked as a pastor in the Free Will Baptist church denomination in the United States. It was this connection that first brought him to Cuba. 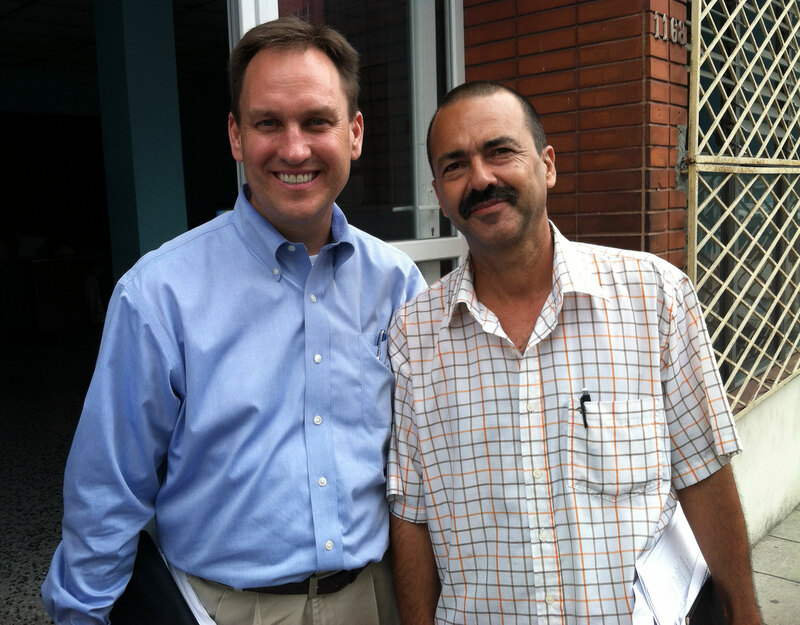 A member of Moody’s church, a missionary who had worked in Cuba, piqued his interest and helped him to get the numerous governmental approvals needed to travel to Cuba. Moody initially traveled to teach basic counseling classes at a Free Will Baptist seminary, the Cedars of Lebanon in Pinar del Rio, Cuba. The connections Moody made with people on that first trip, and every trip thereafter, have led to additional opportunities to teach, meet people and plan return trips. In addition to teaching, Moody meets with mental health practitioners and local people who approach him with questions. Any counseling he provides during the trips is more like consulting, not in-depth therapy, he explains. He administers psychological first aid and tries to connect people with local resources. On average, there is a hurricane in Cuba every two years, so there is a significant amount of lingering trauma and an associated need for psychological first aid, Moody explains. He often gives talks and basic training on these topics at churches associated with the Cedars of Lebanon seminary. 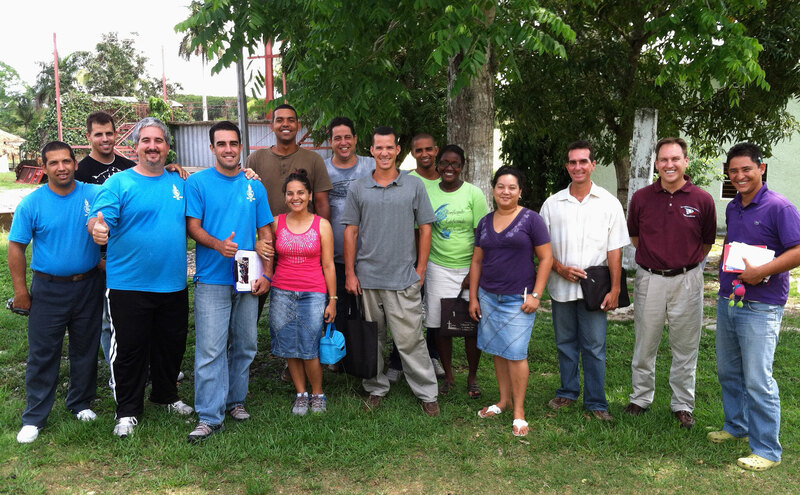 Moody (second from right) with students at the Cedars of Lebanon Seminary in Pinar del Rio. Moody was introduced to Alexis Lorenzo Ruiz, a professor of clinical psychology at the University of Havana and president of the Cuban Society of Psychology, through another professor he met during one of his church visits. With each subsequent trip, Moody has worked more and more with Ruiz, including speaking at the university and at the society’s conference, Hominis. He plans to return for the next Hominis conference in May 2016. Moody does not speak Spanish, although he has picked up some words and cultural cues, such as body language, during his decade of travel to the island. But he mainly relies on translators, which he says is something that is second nature to Cubans. In addition, many Cubans are learning English in anticipation of increased relations with the United States. Hominis conference sessions are translated into myriad languages. Moody compares it to a United Nations meeting, with attendees from all over the globe listening to translations via headphones. Hominis 2013 featured presenters, panelists and participants from 23 different countries, including Italy, Argentina, Brazil, Chile, Ecuador, Colombia, Spain, France, Germany, Canada, Russia and Australia, says Moody. Kenneth J. Gergen, president of the Taos Institute in Chagrin Falls, Ohio, delivered a keynote address on the relationship between social constructionism and psychology. Moody hopes the number of opportunities for American counselors to travel to Cuba, and vice versa, will only grow and get easier as relations warm between the two countries. This spring, President Barack Obama removed the U.S. designation of Cuba as a state sponsor of terrorism. For counselors who want to get involved and travel to Cuba, Moody suggests attending the Hominis conference as a first step. “It will be eye-opening,” he says, describing it as a natural forum to forge friendships and make connections. The Cuban Society of Psychology’s next Hominis conference will be May 9-13, 2016, at the Havana International Conference Center.